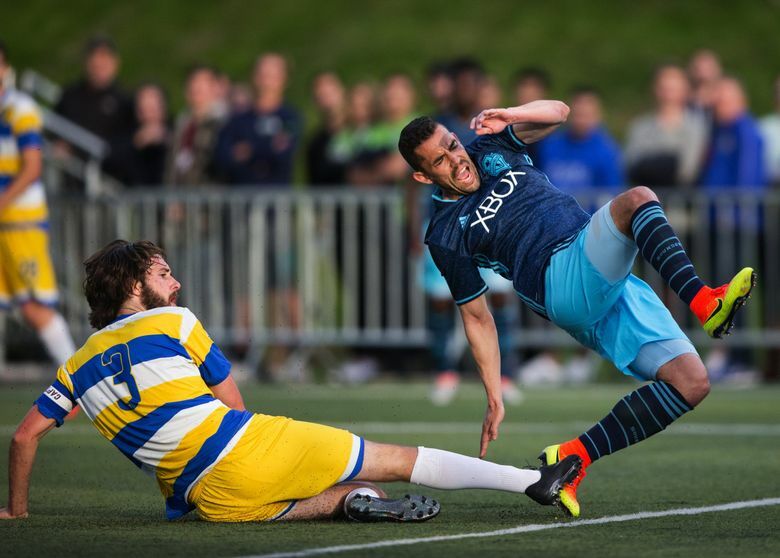 Seattle gets two goals in the second half from Cristian Roldan and Joevin Jones to get past Kitsap, 2-0, in a fourth-round U.S. Open Cup match. 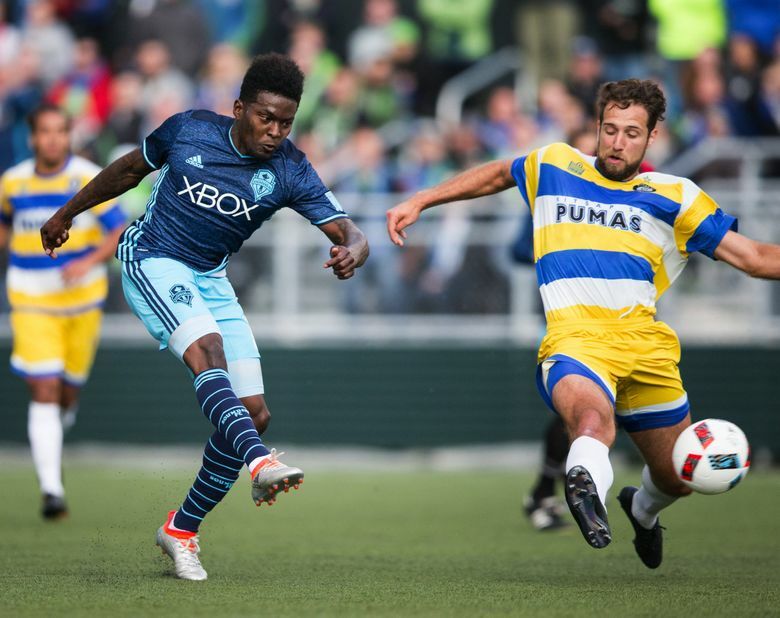 TUKWILA – Perhaps it was the lack of star power. Perhaps it was the layoff from the last match. 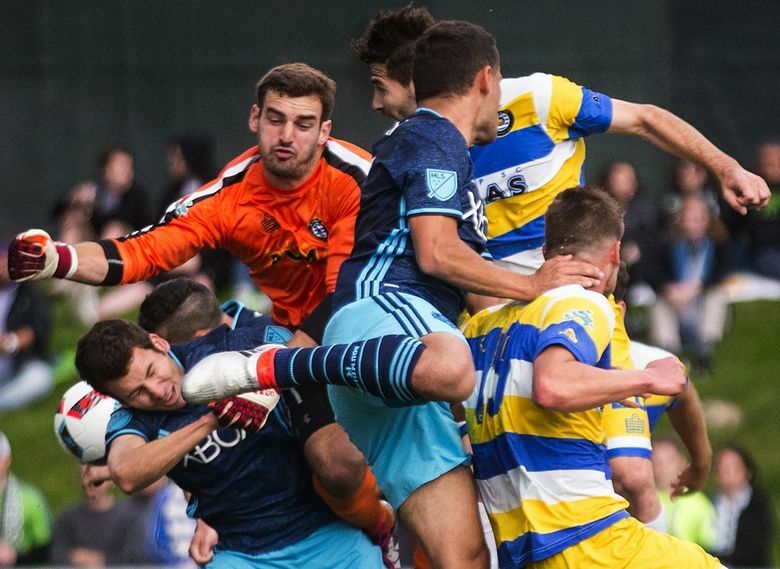 Whatever the case, the Sounders had a fight on their hands with the Kitsap Pumas in a fourth-round match in the U.S. Open Cup on Wednesday night. 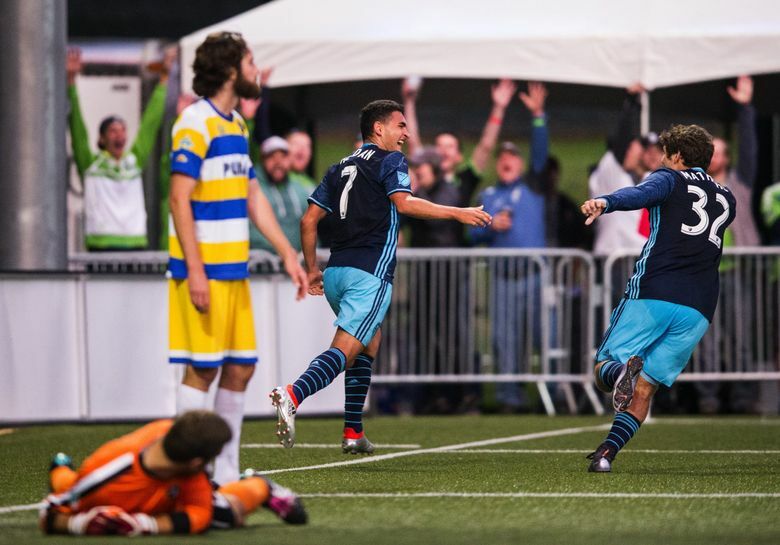 But thanks to some second-half adjustments, and a goal by Cristian Roldan in the 71st minute, the Sounders broke away and won 2-0 in front of a sellout crowd at Starfire Sports Stadium. 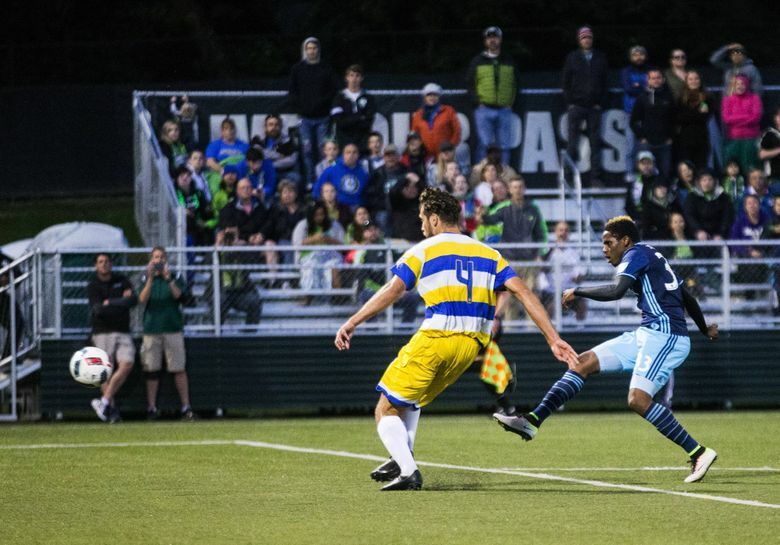 Joevin Jones added a late goal on a breakaway in the 91st minute to put the game away for Seattle. 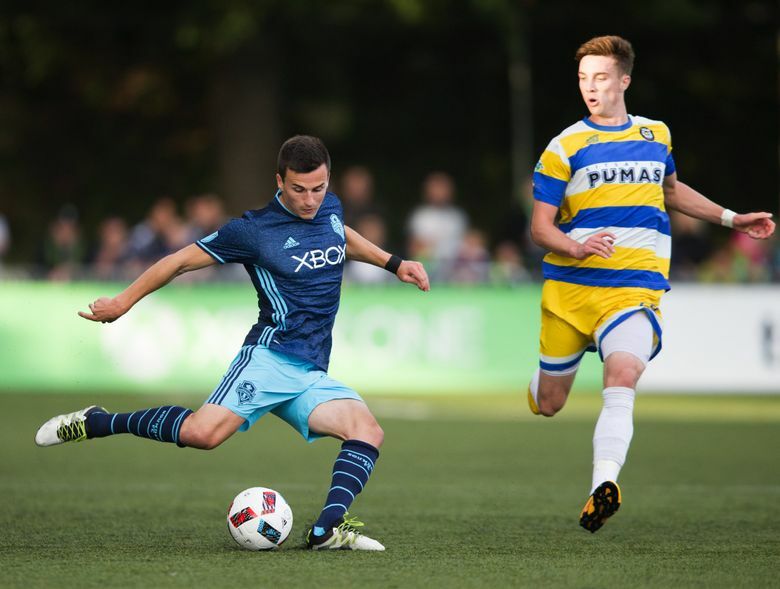 Schmetzer was filling in for head coach Sigi Schmid, who was serving a one-match suspension. 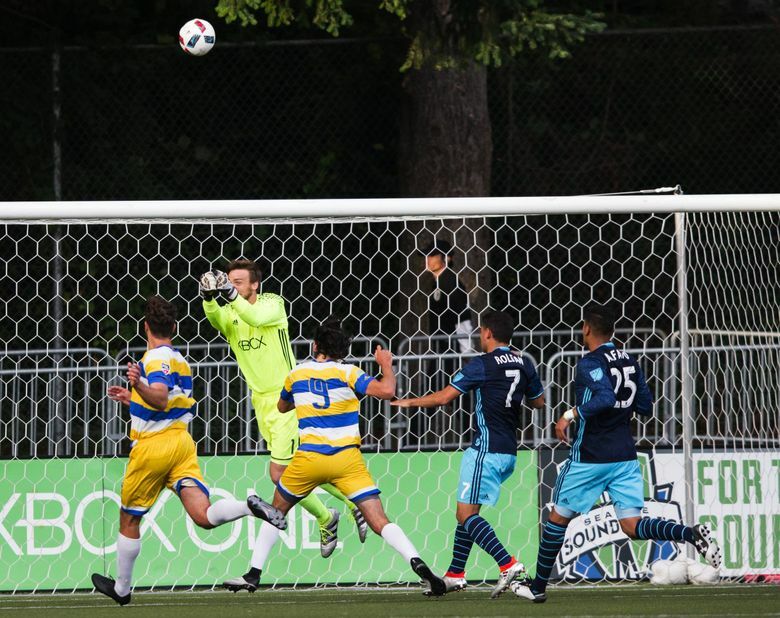 The Sounders – four-time U.S. Open Cup champions – kept the offensive pressure on the Pumas throughout the second half. 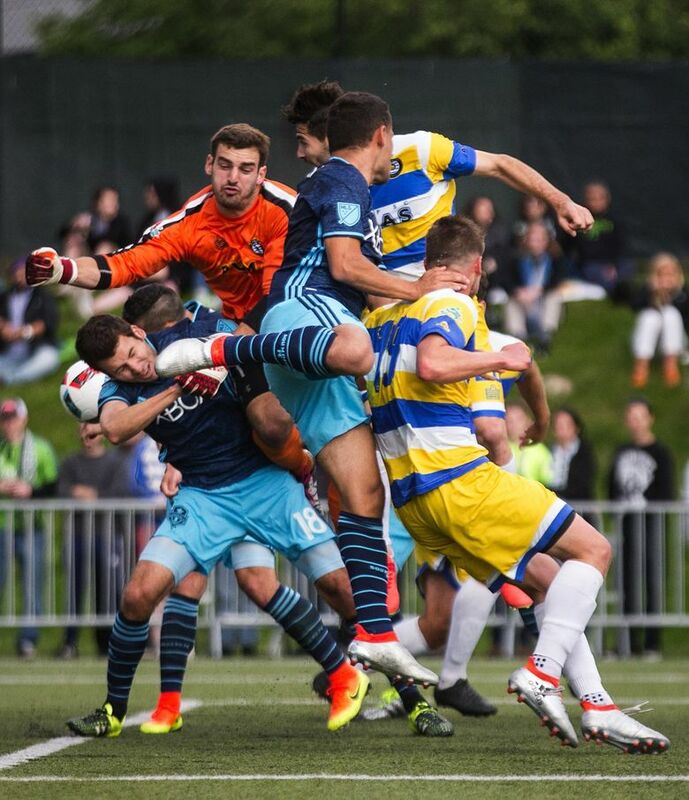 The work paid off when Roldan was able to slip a shot past Kitsap goalkeeper Matt Grosey for the deciding goal. 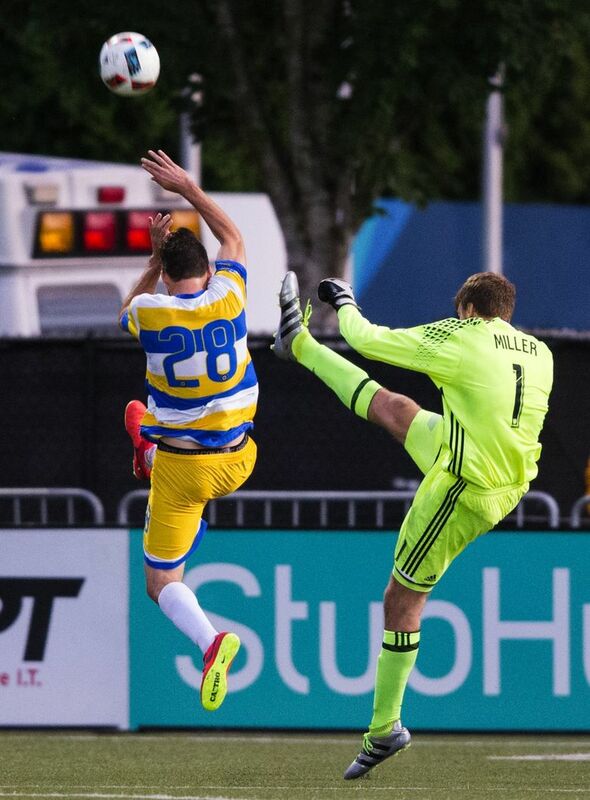 Aaron Kovar was credited with the assist. 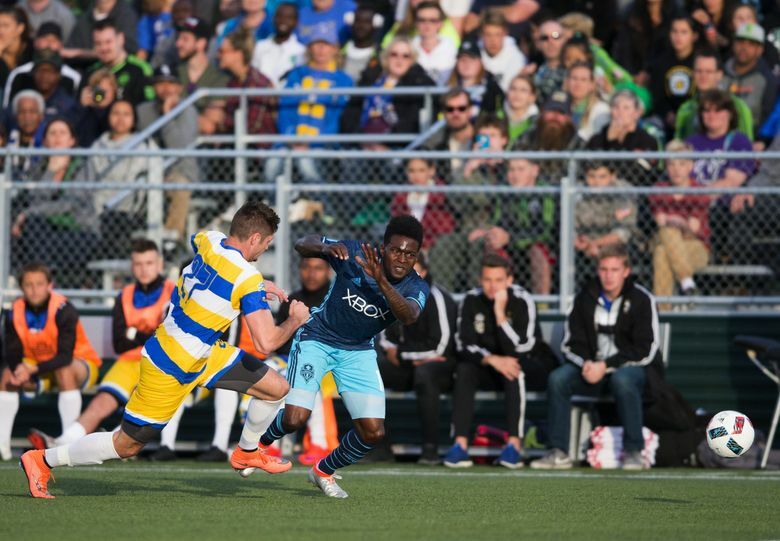 To Kitsap’s credit, the Pumas continued to fight off the onslaught of scoring opportunities from the Sounders throughout the rest of the second half. 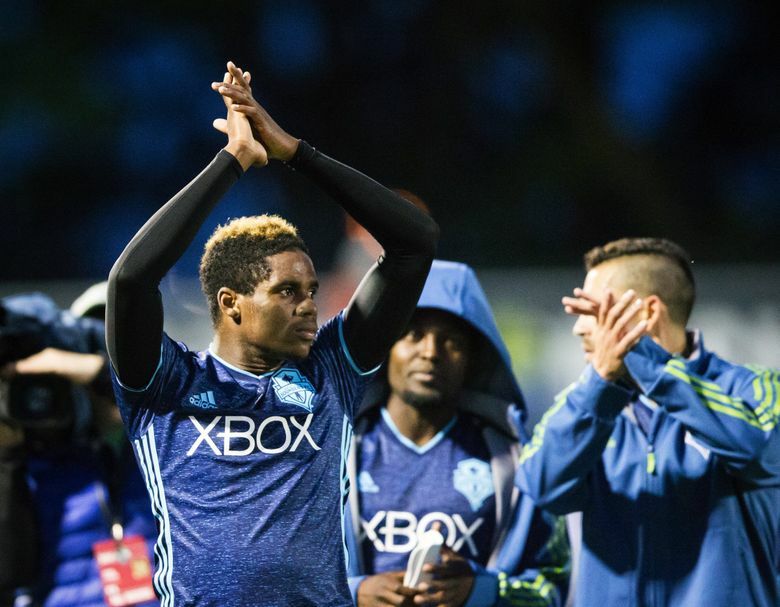 It was the first time in two weeks that the Sounders took the pitch in a meaningful match. 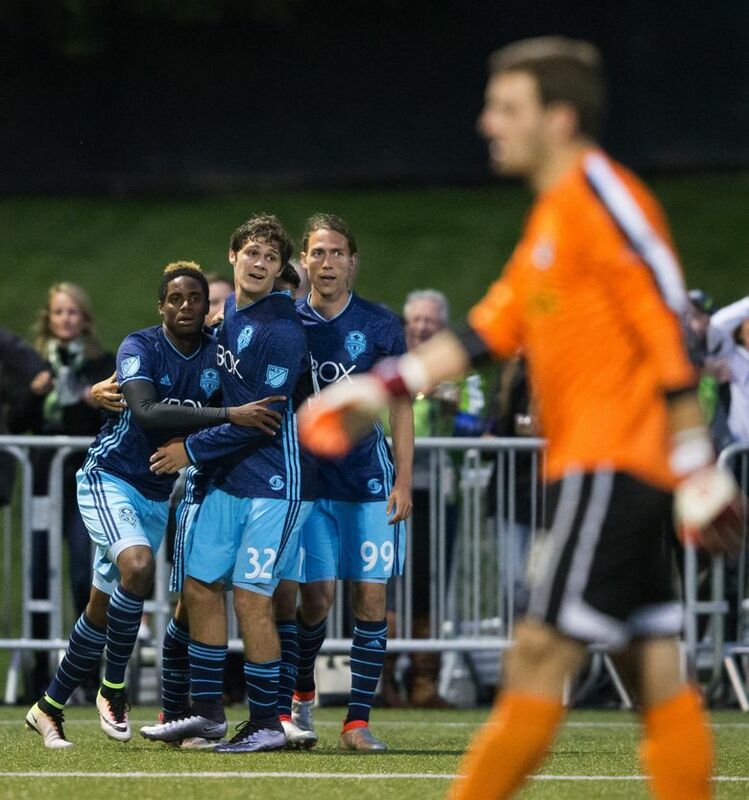 Seattle beat D.C. United 2-0 on the road on June 1. 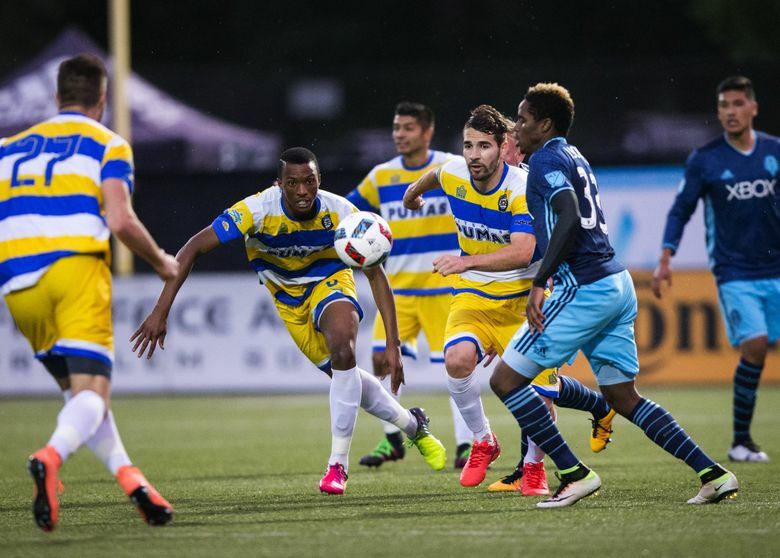 The Pumas – of the United Soccer League’s Professional Developmental League – kept the Sounders on their toes in the first half with short, quick passes. 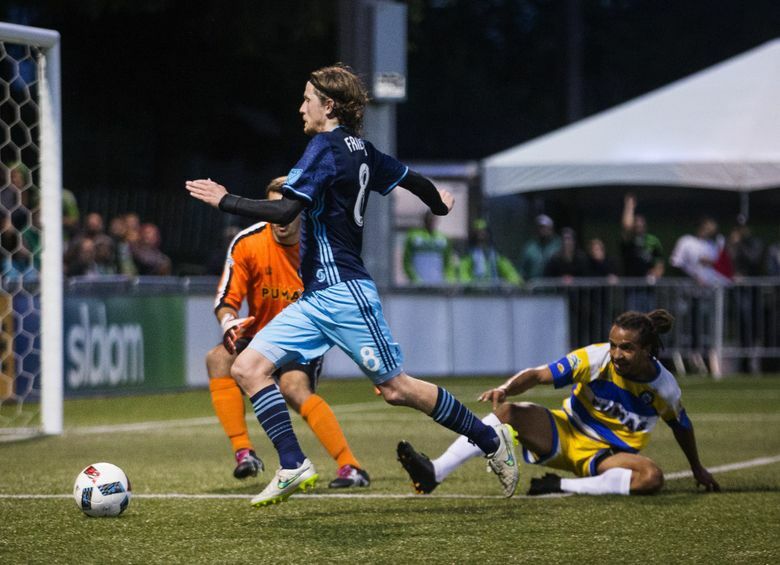 Seattle retaliated with a more methodical attack, one that almost gave the Sounders a goal. Their best scoring chance in the first half came late, when Darwin Jones had a clean shot on net. The shot got a late deflection from Kitsap’s Rene Dezorzi and missed wide. The teams entered halftime with a 0-0 tie. Seattle had a slight edge with a 2-1 shots-on-goal advantage. 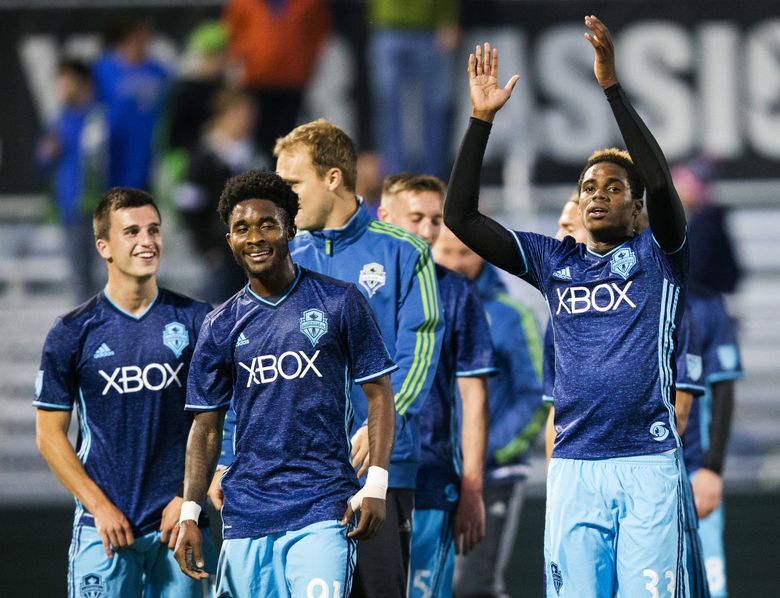 The Sounders, of course, were missing star midfielder Clint Dempsey, who is with the U.S. men’s national team as it prepares for Thursday’s Copa America quarterfinal match against Ecuador at CenturyLink Field. 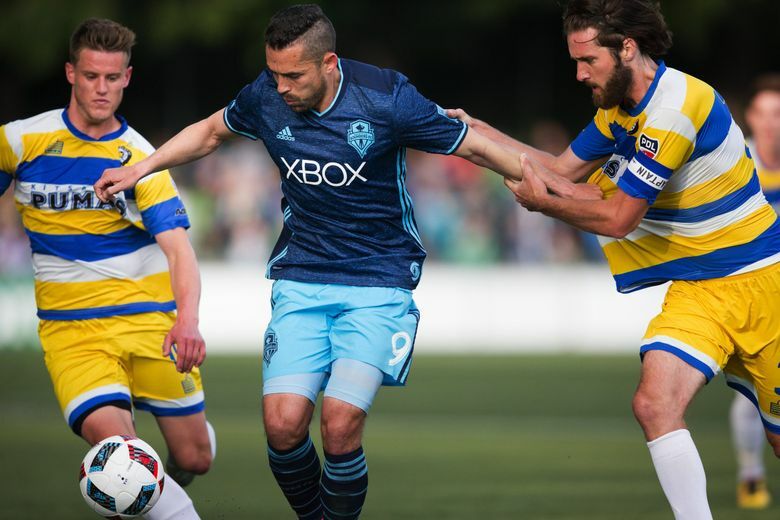 However, if Dempsey had been available, he still would not have been able to play Wednesday night. 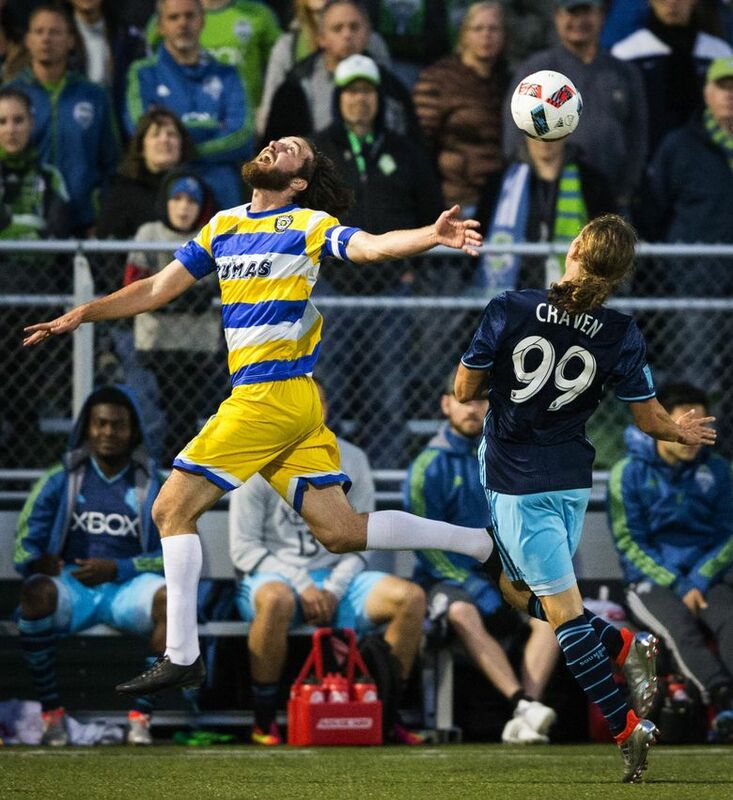 He, teammate Brad Evans and Schmid were all suspended for actions against the Portland Timbers in last year’s U.S. Open Cup. 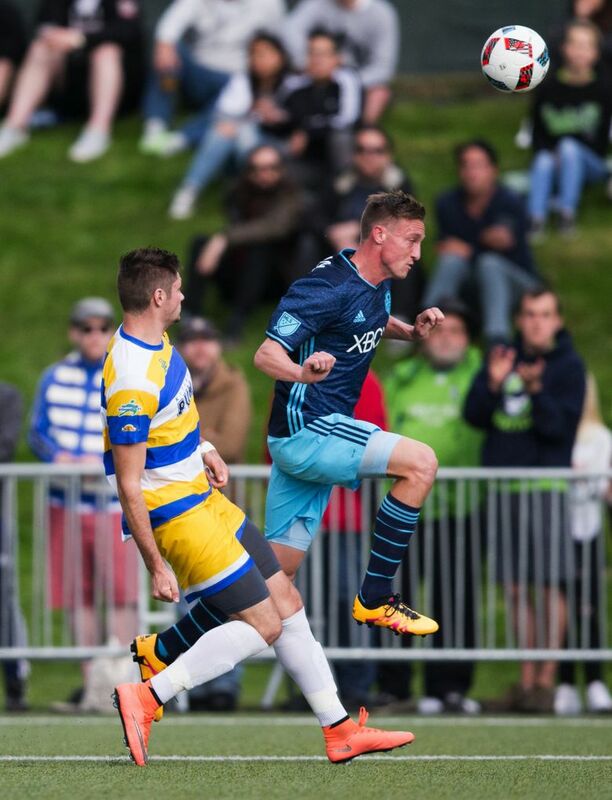 Schmid and Evans will be able to return to action in the tournament, while Dempsey continues a suspension of six games/two years, whichever is greater. 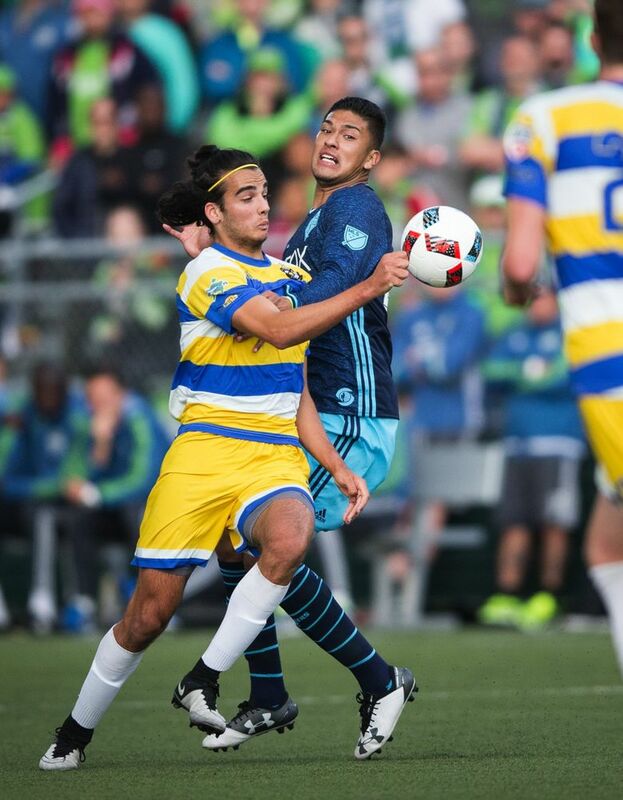 It was the first match between the Sounders and Pumas since the 2011 U.S. Open Cup, when Seattle edged Kitsap, 2-1.